Jewish Students of Carleton (JSC) provides religious, social, and cultural aspects of Jewish life not otherwise available in Northfield. We hold services and celebrations for many holidays, and Shabbat dinners and services every Friday evening. All JSC events are open to the entire Carleton community. The JSC recognizes the inalienable right of the state of Israel to exist. We promote education and programming about the politics and culture of Israel. We seek to be engaged in a dialogue and discussion about Israel that is open to all viewpoints. The home of the JSC on campus is Page House East. 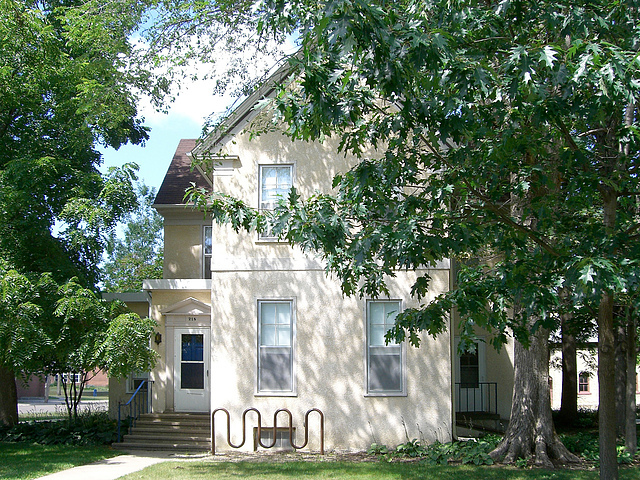 Page House East is an on-campus interest house that serves as a center for Jewish life on campus. Friday night services, Torah study, and other events are held here every week. The five students living in Page maintain its kosher kitchen. If you are interested in living in Page next year, contact Shosh for more info! Activities and events are planned by the JSC board. Board meetings are open to everyone, and everyone can help make decisions. Meetings are held every sunday night, usually at 7:00 PM, in Page East. Come join us! You can view our charter on the right. Check our calendar regularly to find out about upcoming events. Join the JSC mailing list to get the latest info.